The girls’ cross country team kicked off the season with new coach Melissa Harris. Coach Harris started her running career in 5th grade and ran cross country all through high school. She also ran cross country and track at Bridgewater State College as a captain. Coach Harris’s goal for the girls’ team is to achieve their personal goals that she set with them in the beginning of the season. Since Coach Harris started with the team she has brought new techniques to the squad. The team has been working more on push-ups and core exercises in practices three times a week. Speed workouts have also been part of the training. The boys’ and girls’ teams both had their first meet in Norwell. Even though they didn’t bring Rockland a win, Coach Harris said she was still “very impressed.” Coach Harris stated she is “very happy how the team pushed themselves and ran competitively.” Coach Harris plans on staying with the team next year and hopes to help Rockland build up their running program. 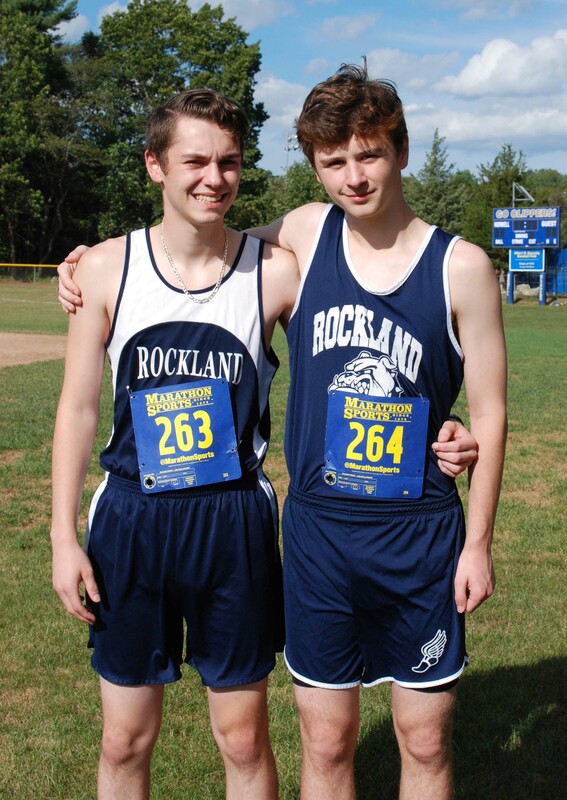 Seth Rosczewski and Sean Morrissey, co-captains of the boys cross country teams. Captains of the cross country team try to motivate and make all the runners feel welcomed. Sean Morrissey, a junior and also one of the captains of the team, gave insight on his goals and techniques. This is Morrissey’s second year running with the team. Morrissey and Rosczewski have been telling the runners how to run without passing out and giving up. The Class of 2021 came to Rockland High with a few students ready to join the team. Billy Robinson is one of the freshman who is “very excited for this season.” He joined the team because he likes to run and says sometimes he will run the track. Robinson’s goal throughout the season is to excel at running. He says, “I enjoy the team and find it fun running with my friends.” He is hoping to be part of the team for many more seasons to come. Practicing for sports while also managing grades at school can be a little tricky. 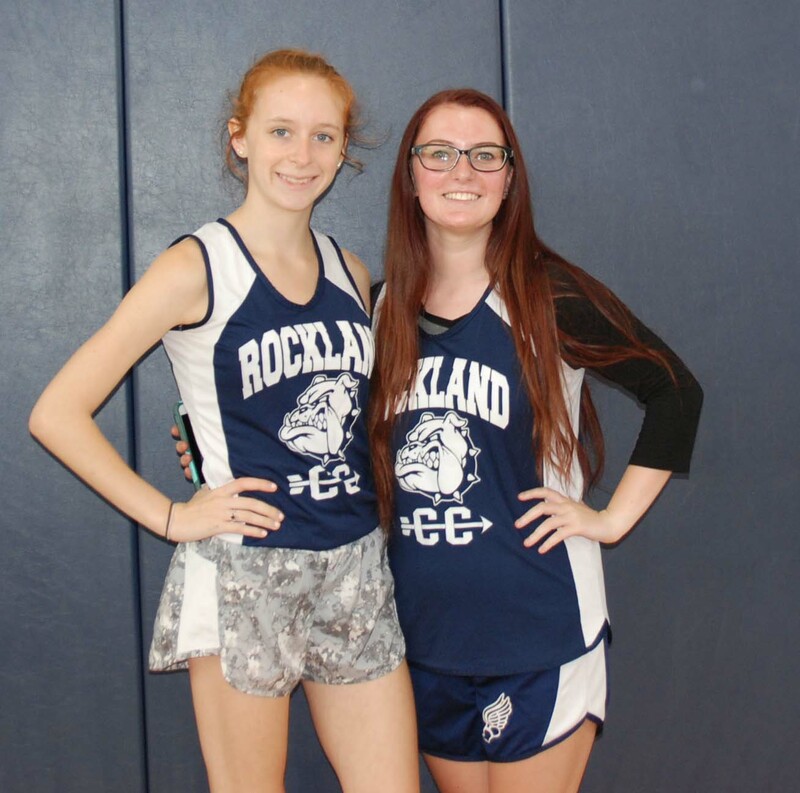 Two girls’ cross country runners, Kyley Houde and Bonnie Gasdia, gave input on how they handle school. Houde, a sophomore, handles school by just coming home right after practice and getting all her homework done so she doesn’t have to worry about the work. The boys’ cross country team’s records is 2-1; the girls are 1-2. They had a home meet against Middleboro on Tuesday.